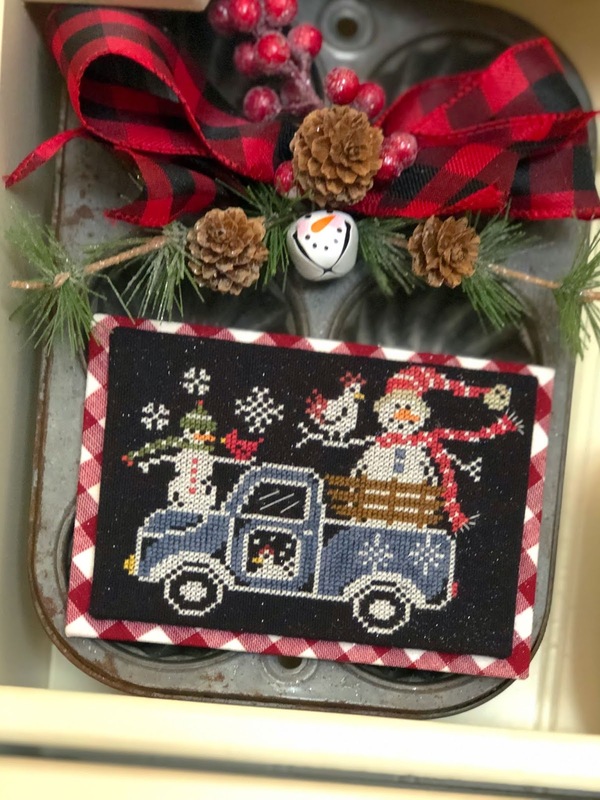 Priscillas: A Truck full of Winter! Here is my first finish for 2019 .. 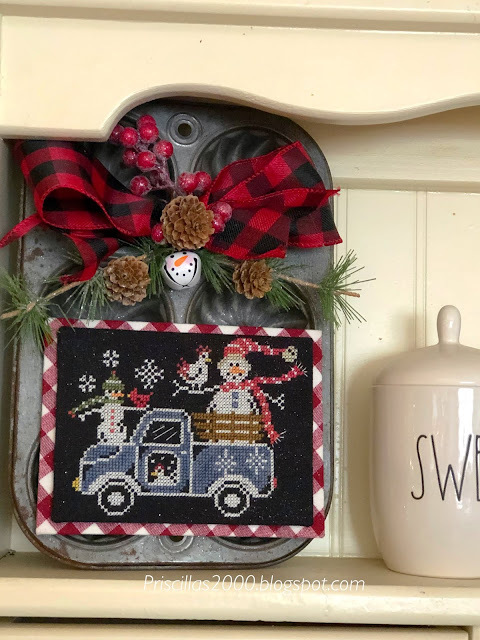 It is the truck portion of the Winter Wonderland Farm chart .. My chalkboard to cross stitch collaboration with Hands on Design! 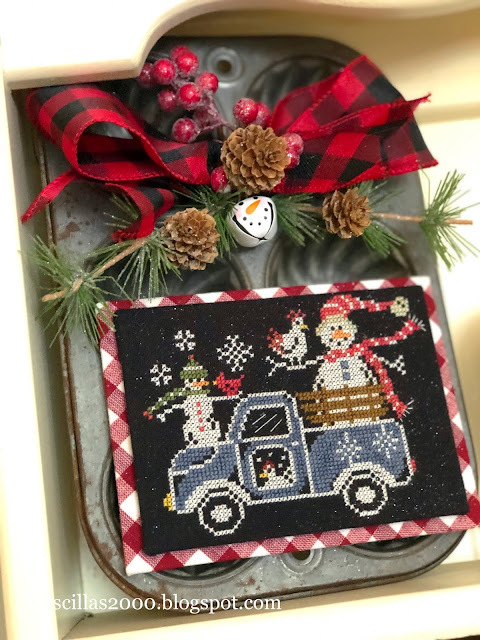 I mounted it on sticky board ..( don't mind the glitter .. it is fallout from the greenery I used on top ) and then mounted big red gingham homespun to sticky board .. 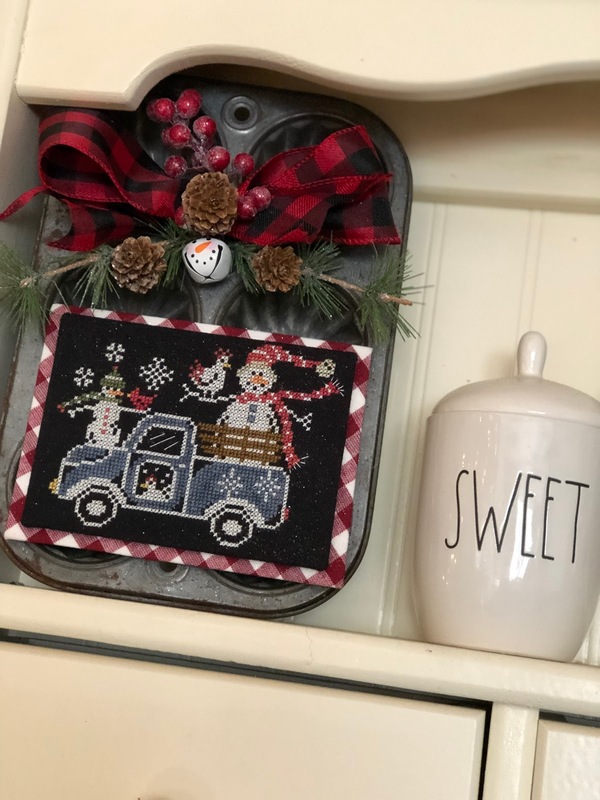 I also used a magnet for the greenery and bow .. so I can use the muffin tin for other designs .. I now have two of these muffin tins in use .. one for the long skinny designs and this one for the smaller pieces .. A bow of buffalo plaid and a snowman jingle bell finish it out! Love it ! Love the cute finish. Are you finding any good clearance sales on bows and greenery for your finishes? Adorable! The finish is beautiful, as well. Thanks for posting your lovely projects. I'm inspired.